(CBS News) Since getting together in 1980, the Athens, Georgia band R.E.M. had steadily built a career and reputation that gradually went further than their college rock audience. Then in 1987, "Document," R.E.M. 's fifth album, heralded the band's arrival to the mainstream: The record reached the Billboard's Top Ten album charts at number 10, and yielded the band's first-ever Top Ten hit, "The One I Love." Twenty-five years later, "Document" remains one of R.E.M. 's best works - in Rolling Stone's best 100 albums of the '80s, "Document" ranked number 41. This Tuesday, "Document" is being reissued as a special edition release--in addition to featuring the original album, the 25th anniversary edition contains a previously unreleased concert recorded in Utrecht, Holland from the band's 1987 "Work" tour. The set list from that spirited show draws songs not only from "Document" but also from past R.E.M. albums "Murmur," "Reckoning," "Fables of the Reconstruction" and "Lifes Rich Pageant. In his 1987 review of the album, David Fricke of Rolling Stone wrote: ""Document," the fifth in a series of singular state-of-the-union addresses by America's most successful fringe band, positively ripples with the confidence, courage and good, swift kick of a rock & roll band at the top of its form." "We were becoming more confident in our ability to play, to pull off whatever we wanted to try," says former R.E.M. bassist Mike Mills in David Daley's liner notes of the new reissue. (The band broke up last year). "In this case, we wanted to try and come out strong and be loud. We wanted to incorporate some of the angularity, some of the muscle, some of the things we'd seen and learned in touring." In his notes, Daley painted the times that the album was made in -- it was during Iran-Contra along with Wall Street excess. And in the aforementioned best 100 albums of the '80s ranking, Rolling Stone said: "Document" is an angry, largely topical look at a world wracked by political and environmental catastrophe. Singing in clear, enunciated syllables, Michael Stipe trains his disapproving lyrics upon despoilers of nature ("Disturbance at the Heron House"), peddlers of right-wing dogma ("Exhuming McCarthy"), warmongers in Latin America ("Welcome to the Occupation") and other abusers of the planet and public trust." "Document" contains a couple of of R.E.M. 's popular songs such "Finest Worksong" and especially "It's The End of the World As We Know it (And I Feel Fine)." It is also known for "The One I Love," which placed number nine on the Billboard pop charts. Singer Stipe said to Musician magazine in 1988 (and later retold in Denise Sullivan's book, "R.E.M. : Talk About the Passion") about that track: "[It's] very lyrically straightforward. It's very clear that it's about using people over and over again. I think that's probably a sentiment everyone has felt at one time or another, so you can apply it to yourself. But it's not an attractive quality." 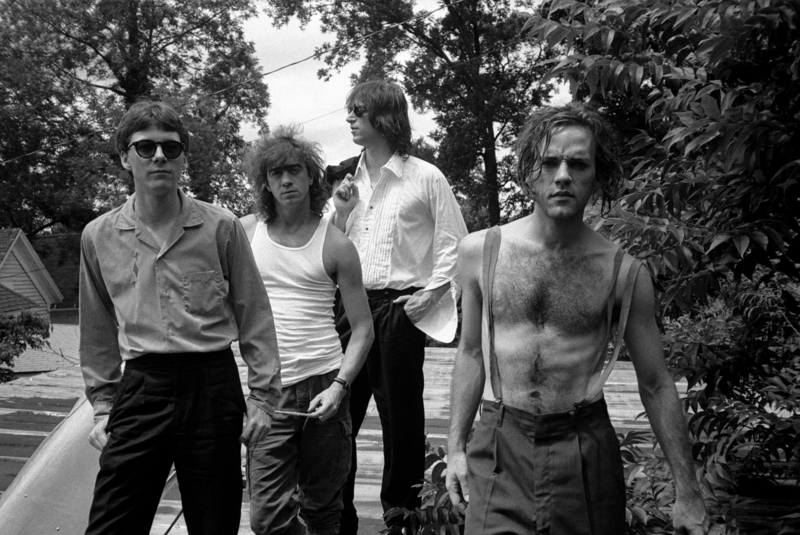 Fittingly, the release of "Document" also marked an end of an era for R.E.M., as the band departed from small record label I.R.S. for major powerhouse Warner Bros. More success would follow the band throughout the next couple of years, but "Document" was certainly the album that solidified R.E.M. 's transition from college rock heroes to superstars.